Well, in my last week or so using my new Note 4 as daily driver, I noticed that my videos were much more stable compared to all my other smartphones including the Galaxy S5, LG G3, and OnePlus One. I decided to put this to the test and do some walking/running tests with the Note 4 alongside the LG G3 and OnePlus One in 4K mode. You can clearly see that the Note 4 does much better job of keeping overall video smooth. Make sure you view the video in 1080P to see the differences and all of these videos were shot in 4K rendered down to 1080P. That’s one thing I am very excited about, because I make videos for a living and if you are looking for the best Android smartphone “right now” with the most stable video recording, you can’t go wrong with the Note 4. Of course, these walking/running tests don’t show everything, if you actually take some videos yourself with the Note 4, you will notice a huge difference in using a phone with OIS. LG G3 also does feature OIS but I think Note 4 does a tad better. 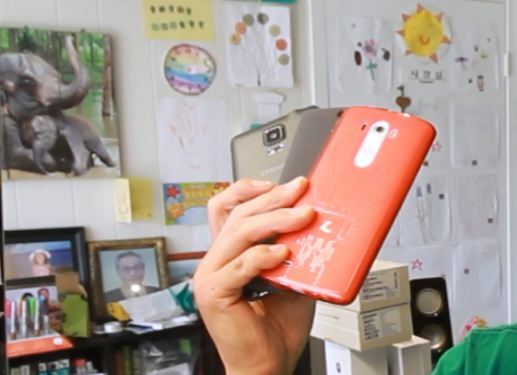 Next story Note 4 vs. LG G3 vs. OnePlus One Front Camera SHOOTOUT! Previous story Note 4 vs LG G3 Benchmark Test with Antutu/Quadrant!